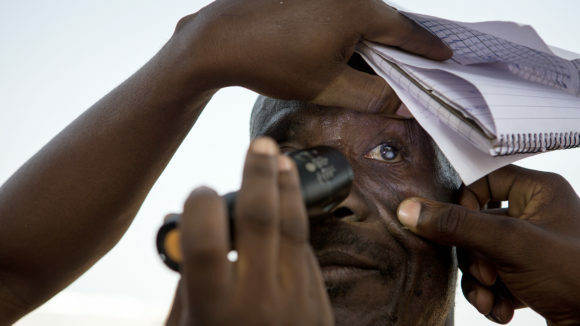 The SHIP project screens schoolchildren for health problems such as poor vision and worm infections, and distributes spectacles and treatments where needed. Children in poorer countries miss a combined 500 million days of school every year because of common issues such as worm infections, short-sightedness or poor nutrition. Yet these problems can be easily diagnosed and treated if children have access to reliable health services. The School Health Integrated Programming (SHIP) project began with a pilot in 2016 to screen schoolchildren in Cambodia, Ethiopia, Ghana and Senegal for health problems such as poor vision and worm infections. The pilot aimed to raise awareness, provide treatment and encourage governments to improve health and nutrition in schools: the goal was to reduce absenteeism and drop-out rates, and boost children’s educational prospects. In November 2018, the SHIP project launched in Liberia with a three-year programme to train 2,400 teachers to screen children and distribute medication. 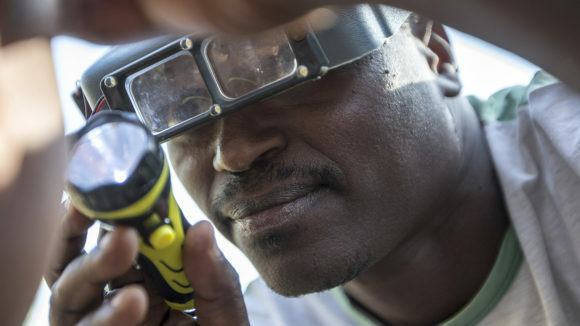 As part of SHIP, teachers are taught about major eye conditions affecting their region, and trained to examine their students and record their findings. 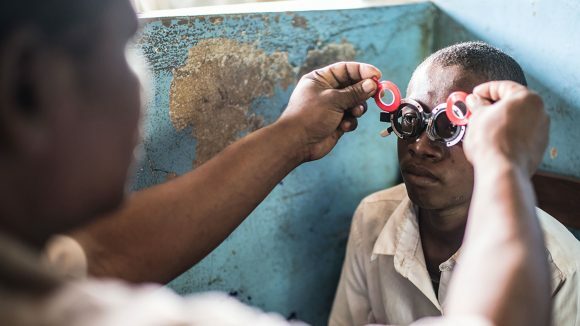 Children with vision problems are then referred to a team of mobile optometric technicians, who can travel to the school and provide free spectacles to children who need them. Any children found to be suffering from or at risk of worm infections are treated with deworming medication. The teachers are also trained to educate their students about eye health and personal hygiene, with the children encouraged to share what they learn with their families. The pilot project in 2016 ran in partnership by Sightsavers, the World Bank, Imperial College London’s Partnership for Child Development and the Global Partnership for Education. The Liberia project launched in 2018 in partnership with the Ministry of Health and Ministry of Education, and funded by the Dubai Cares foundation. 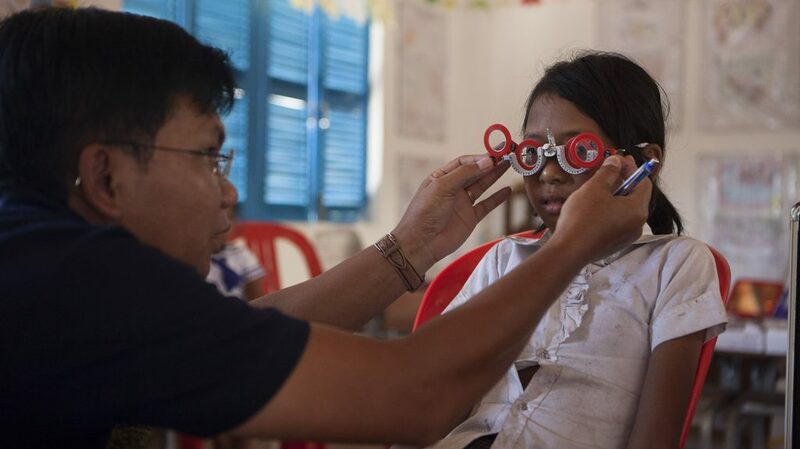 During her training, Nou was taught about different eye conditions, and learned how to use a vision screening kit to examine her students’ eyes. 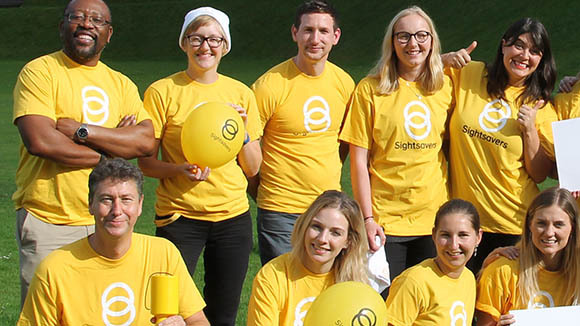 She can now help children with vision problems who could then be given spectacles or referred to a specialist for further treatment if necessary. After completing her training, Nou tested the eyesight of all 205 children in her school and identified one child who needed glasses. 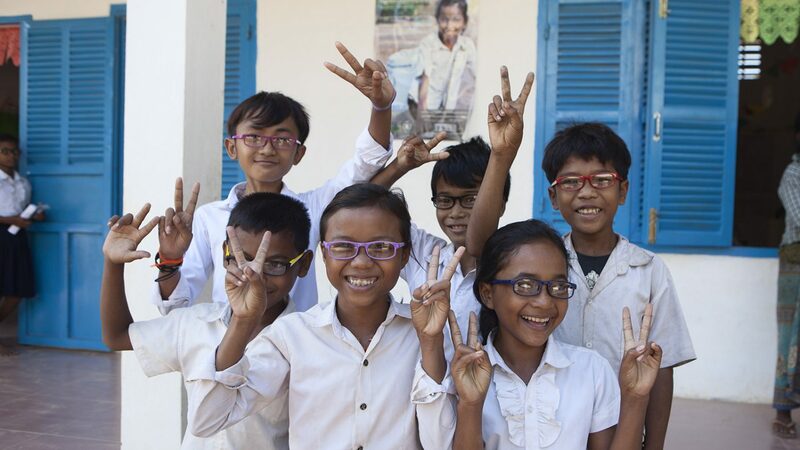 The student was offered a selection of differently coloured frames to choose from – while she was shy at first about wearing her new spectacles, Nou helped to reassure her. 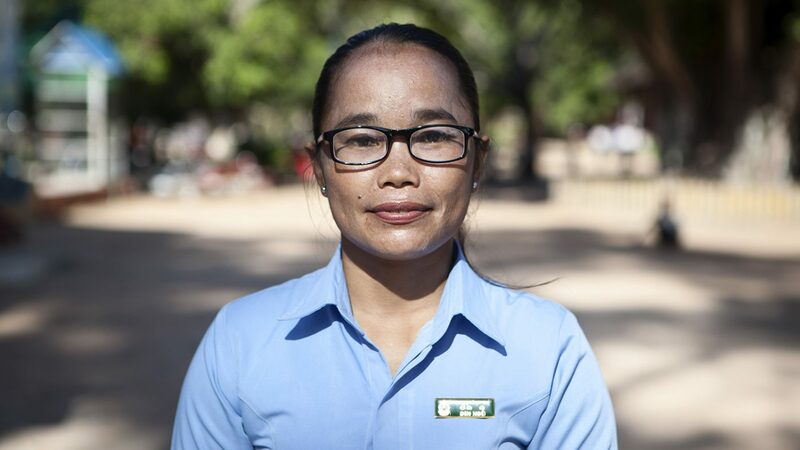 As part of the programme, Nou’s eyes were also tested: after years of suffering from poor vision, she discovered she needed spectacles and was given her first pair of glasses. Refractive errors are irregularities in the shape of the eye, causing blurred vision. We aim to improve access to global healthcare so this can be treated. Cataracts are caused by a build-up of protein that clouds the eye’s lens, which can lead to blurred vision and eventual blindness.